Effective storytelling is the key to building a powerful and coherent city brand that people connect with and share. So how can destination marketers tackle this challenge and create a branding campaign that people naturally want to tell their friends about? In 2004, Amsterdam Marketing launched the “I amsterdam” branding campaign to create a more established, unified and consistent city brand. There was also the need for a strong, differentiated brand that would inspire the community to share stories and experiences they could identify with. The “I amsterdam” brand represents the core values of the city such as creativity, innovation, and a spirit of commerce. The main focus of the city’s branding also includes behaviors and perceptions of the relevant target audiences. 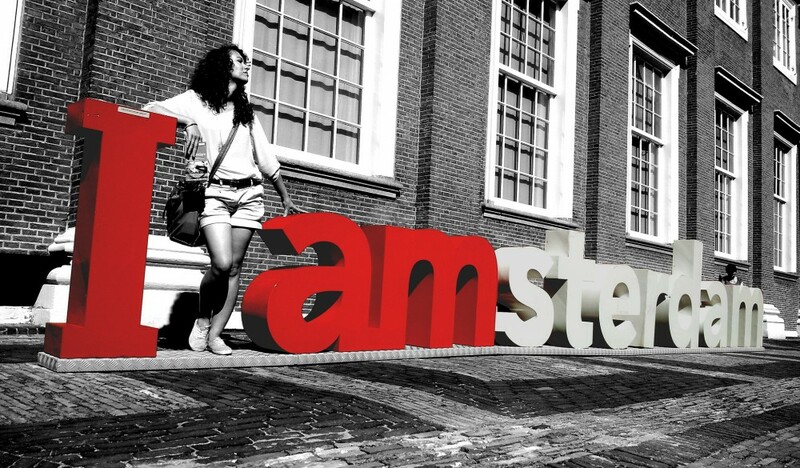 The “I amsterdam” brand encompasses three primary target groups: locals (residents), businesses and visitors. After its introduction, the city slogan gradually became a collective catchphrase – a clear, short, powerful and memorable icon for the city’s residents, regardless of who they are or where they come from. After all, since residents are a key ingredient of a destination’s product, they need to become its front line ambassadors. They are also an important internal client for modern DMOs. If the residents are not happy with your destination, they will not support your efforts, welcome your visitors or become destination advocates. In the case of “I amsterdam”, the brand is about everyone that visits, lives, studies or has a business there. It says that the city welcomes everyone. “I amsterdam” is not just a promotional campaign, it’s there to stay in Amsterdam, permanently. It illustrates why a strong city brand requires continuity and consistency over time to be successful. When we think of Rome or Brussels, we visualize the Colosseum or the Atomium. But do the “I amsterdam” signs come to mind when you think about The Netherlands’ capital city? A city marketing approach centers on the conceptualization of the city as a brand. The stories, told about the city by the brand, are built in that city over time. Moreover, a city brand comes to life when people interact with it and become inspired to create influential stories and share experiences around it. The “I amsterdam” brand has earned a life of its own, channeled and amplified by the community. I amsterdam’s letters, located behind the city’s Rijksmuseum, have become a point of interest for many visitors who photograph themselves in, around and on top of the letters. As a popular and photogenic location, the large slogan continues to generate strong word-of-mouth promotion. Elena has worked in a variety of industries where she has developed and executed marketing communications initiatives that drive and improve brand awareness. She has a passion for modern integrated marketing strategies, especially social media and content marketing, and she loves to inspire people to travel and interact. With great enthusiasm, creativity and love for traveling and for always discovering new cultures, she believes that differences are what unite people on a global level. For Elena, the further the experience happens, the better. She even made it from South America all the way to Antarctica. When she is not working, you can always find her touring on her bike in Amsterdam or Barcelona, enjoying good music, the beach and hanging out with her friends.